With the stylish looks and advanced technology the bold looking bike Ducati Monster 796 is sure to win the hearts of millions. This bike is structured so beautifully that it is not only pleasing for eyes but maintains the safety aspects very well. Built with quality materials, advanced chassis and braking system, driving through this vehicle is a true delight. With the increased speed the riders feels like that he is sitting on the fastest animals that assures greater thrills. On the whole, best top brand vehicle for the affordable price range. 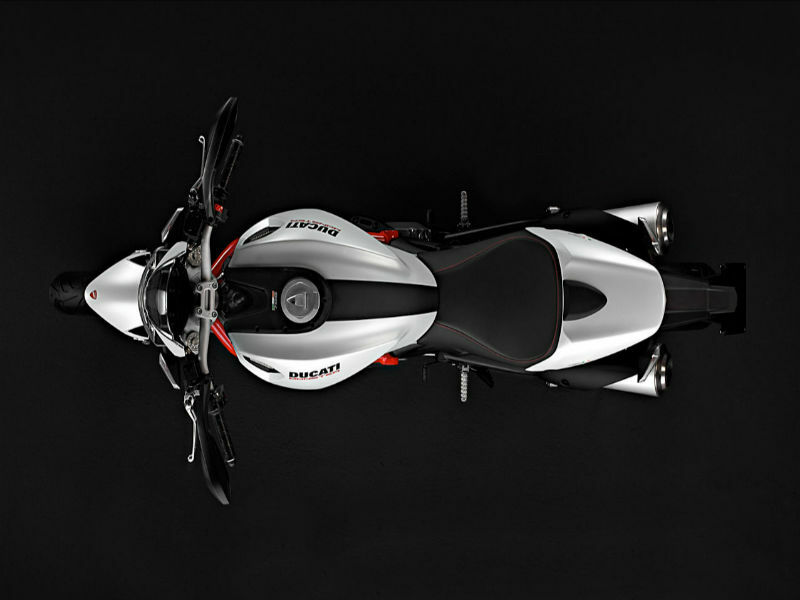 The bike comes with 803 cc engine designed with L Twin cylinder having 2 valves per cylinder. This potent engine produces the maximum power of about 87 bhp at 8250 rpm and offers the peak torque of about 80Nm at 6250 rpm. This power generated from the engine reaches the wheels through 6 speed transmission. This naked fairing bike with stylish fuel tank and handle bars as the power to attract every passerby. The untouched beauty of the vehicle is so appealing and refreshing that every bike lover would love to experience the ride atleast once and this is going to be the most pleasurable. The easy and stylish design of the macho vehicle including the comfortable seating and striking larger wheels serves as the major attraction. 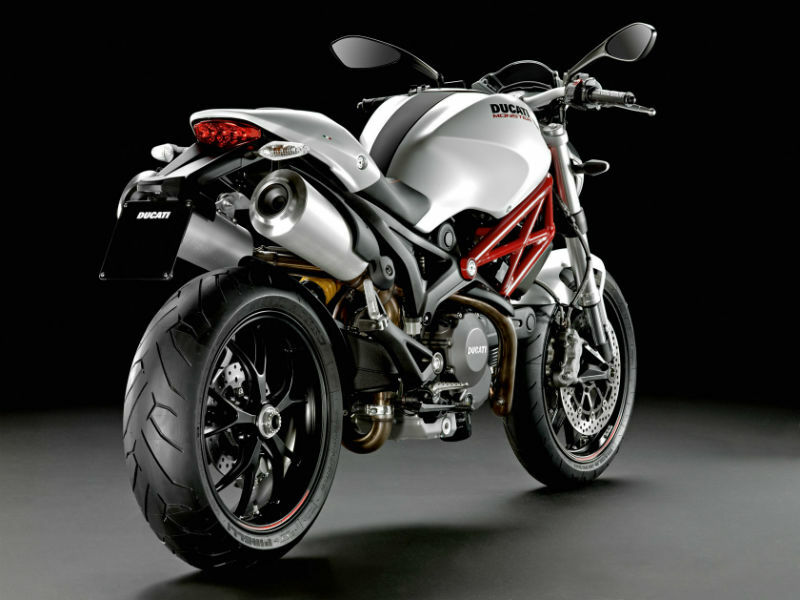 When it comes to riding a Ducati Monster 796 then it is an all new experience with great thrill. The higher positioned handlebar, comfortable seats and foot rests assure greater comfort to the rider. The suspension system of the bike is simple but task oriented serving its needful efficiently. The front and rear wheels suspension comes with adjustable spring load that cares about the passenger load optimization. Brakes are two 320mm discs at the front and 245mm disc at the rear that provides confidence for even inexperienced hands. Ducati Monster 796 is said to be a fuel efficient vehicle thereby serves as one of the main reason for its increased popularity. 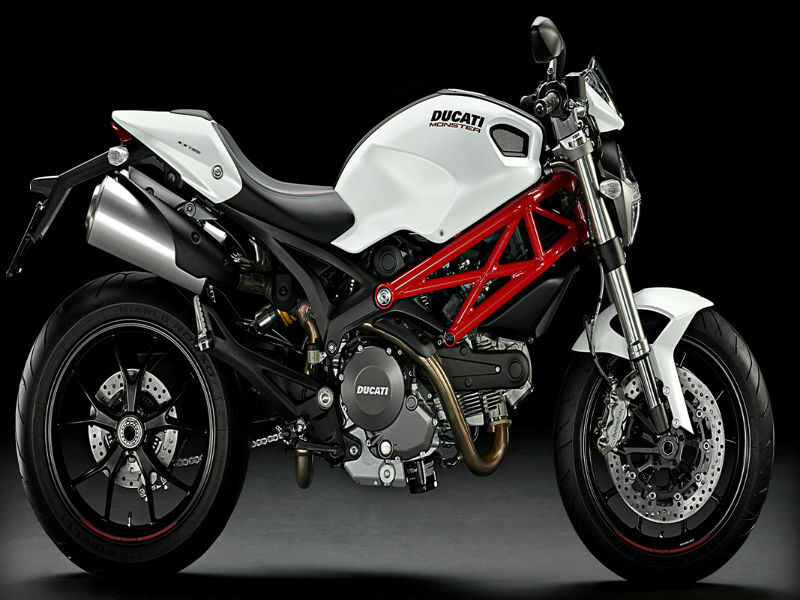 The super stylish clasy bike Ducati Monster 796 is available in various shades namely Red, Diamond Black Silk and Arctic White Silk. The ex-showroom price of this trendy bike is about Rs. 9,42,977.